It’s been a long 178 days and 21 hours since the end of Super Bowl LI, not that anyone is counting, but football is back! Well, sorta. It might just be the preseason, but football is football. This year, the Hall of Fame game in Canton, Ohio was a game between the Dallas Cowboys and the Arizona Cardinals. But, before the game was even played, a more important ceremony took place: 7 players and owners were inducted into the NFL Hall of Fame. Super Bowl-winning quarterback Kurt Warner, record-breaking running back LaDainian Tomlinson, and America’s Team owner Jerry Jones were just a few of the legends inducted this year. The game started with an early score from the Cardinals, who were led by quarterback Blaine Gabbert. Glamorous, I know. Kerwynn Williams scored the first touchdown of the 2017 NFL Preseason off of a 5-yard touchdown run. On the following drive, out walks the Cowboys 2017 Triplets: Kellen Moore, Darren McFadden, and Brice Butler… The three play just as well as anyone would expect them to, and the Cowboys punt the ball back. 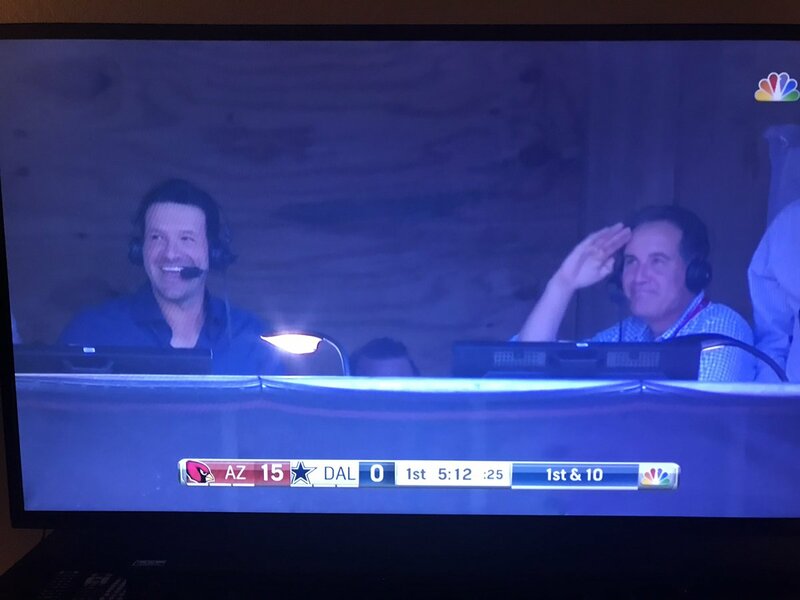 After the Cardinals go up 15-0 in the first quarter, the camera focuses on a familiar face: Tony Romo. Must be nice for Cowboys fans to see him in a football game all in one piece. 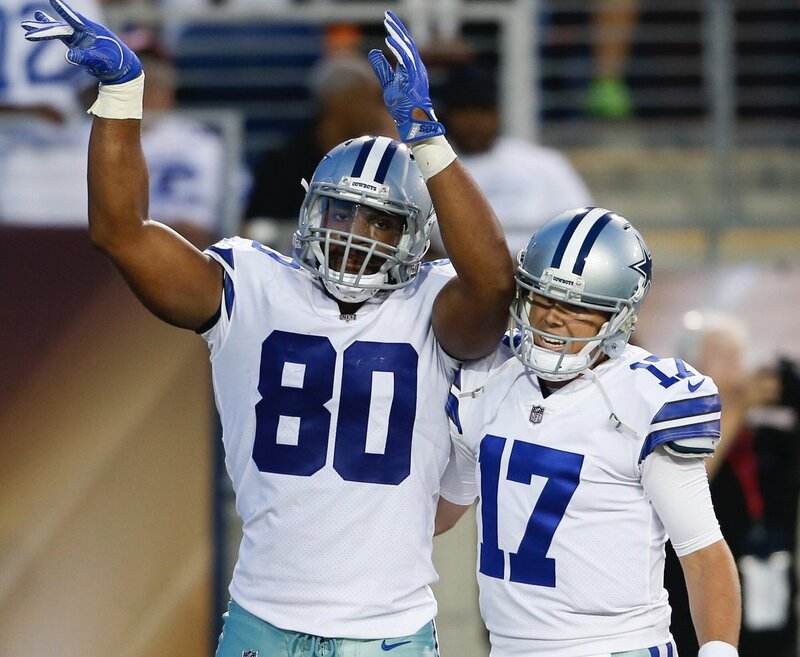 By the end of the first quarter, the Cowboys managed to put together a scoring drive: a 26-yard touchdown pass from Kellen Moore to former Baylor basketball player Rico Gathers. If Gathers can keep up the performance he had tonight, the Cowboys might have just found their Jason Witten replacement in the 7th round of the draft. At halftime, the Cowboys cut the Cardinals lead to 5, scoring ten unanswered points. Everyone’s favorite Chippewa Cooper Rush starts the third quarter for Dallas and leads them on a scoring driving, capping off with a 14-yard touchdown to Uzoma Nwachukwu (don’t even ask me how to pronounce that). If you thought seeing Cooper Rush was exciting enough, wait until you hear who the Cardinals rolled out. That’s right, dreamboy Aggie Trevor Knight takes the field, even leading them to a field goal and retaking the lead at 18-17 at the end of the third quarter. The final score of the game was a field goal from the Cowboys, and the game finished 20-18. The Dallas Cowboys get the first win of 2017, and the Cardinals fall to 0-1. Now I know everyone doesn’t love preseason football, but seeing guys out there playing the sport they love is just so good to see again.